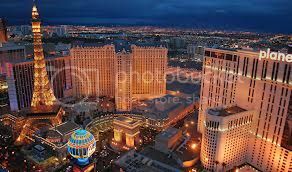 Las Vegas usually inspires thoughts of expensive luxury and glamour and few people consider it a cheap destination for a holiday. At the very least, there is an expectation that the casino will swallow up a terrific amount of the funds. In recent years, with the advent of Internet travel sites and airlines providing direct online flight bookings, the cost of flights has become increasingly competitive. Cheap flights are easily accessible, especially to destinations like the United States. Getting to Las Vegas cheaply has never been more possible as a result, particularly if you’re happy to travel mid week. If you’re travelling on a budget, you’re probably already aware that a suite at the Mandalay is not going to be on the agenda, but there are a host of other perfectly well-appointed hotels available to you at reduced costs. The casino-hotels are a great choice for cheap place to bed down for the night and will put you right at the heart of the gambling and entertainment action. The New Frontier, at the Northern end of the Sunset Strip, offers comfortable rooms with good amenities and a 100,000 square foot casino in-house. For something more family friendly, the Flamingo is a more old-school Vegas hotel with a wonderful pool complex and well appointed rooms. To save even more bucks, venture away from the Strip and off the beaten track to a motor inn. The Downtowner Motel is a classic two storey motel just like those seen in the movies. The rooms are clean and comfortable and offer a relaxing stay away from the hectic night-life of Vegas and a very reasonably priced, leaving you with more money to indulge yourself in the clubs, bars and casinos. It’s important to know the best budget places to eat in Las Vegas if you really want to save money. Of course many of the larger hotels offer all you can eat buffets, but the room costs reflect this. To save the most money and soak up some of the vintage Vegas atmosphere, you’re better off heading down town. Downtown Vegas was the place to be in its heyday, but later gained a reputation as somewhere that was dangerous to venture into after dark. However, it’s making somewhat of a comeback. With a range of budget friendly ethnic restaurants and trendy dive-style bars to choose from, finding a purse friendly meal is not a problem. You’ll also find several old-style Vegas hotels within walking distance of this area. The Golden Nugget offers cheap rooms and Main Street Station, with Buffalo Bill’s stagecoach parked right outside, has rooms for under $50. Talking of Buffalo Bill’s, his namesake hotel and resort is also a cheap place to stay, with a great breakfast buffet which can help to stave off the hangover from the cocktails of the night before. Many of the resorts, hotels and restaurants offer Happy Hour specials which can help you to save even more money and eat, drink and be merry on a shoestring. Be warned, though. Many places charge resort fees and taxes which can add to your costs and visiting some of the fancier clubs and bars can see your evening subject to a cover charge, so include these in your budget if you really can’t resist. Now hopefully you know how to save money on your stay in Vegas it’s time to save some money on your flights to USA by comparing some cheap flights. Post by Jamie Knop a travel blogger and writer from the UK.